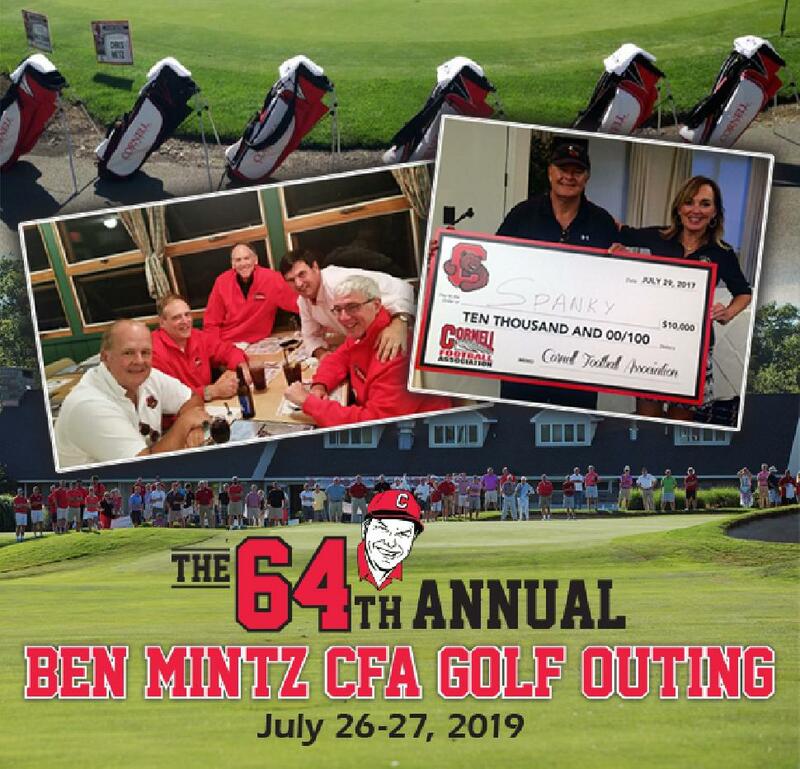 Join us for the 64rd Ben Mintz CFA Golf Outing Featuring the Pete Noyes $1 Million Shootout on July 26-27, 2019. We have made a few changes this year to add more excitement to this year's event. We'll open with the CFA Chairman's Reception at on Friday, July 26th at Tanner Terrace. We save tables at Glenwood Pines at 9 pm for anyone who wants to have dinner with friends following the reception. Ithaca CC will be the home base for the event this year. Registration and Lunch are scheduled Saturday at Ithaca CC. 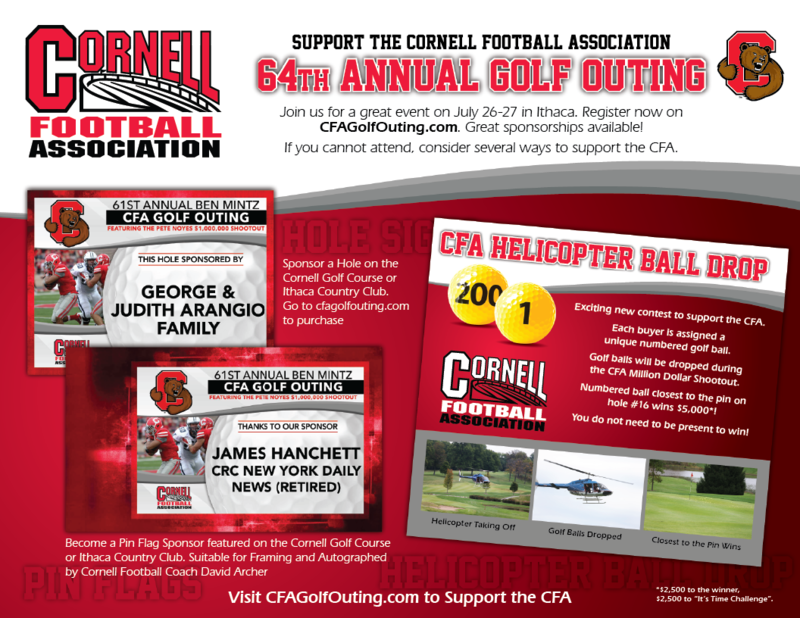 For golf, we will play both courses, Ithaca CC and the Cornell Robert Trent Jones Golf Course. During the event, the eight golfers closest to the Pin will qualify for the $1 Million Shootout (if shot is made, prize is shared 50-50 with It's Time Challenge) during the reception at Ithaca CC with someone winning $10,000 - $5,000 cash to the winner, $5,000 to It's Time Challenge in winner's name. Register Early to Select the Course You Want to Play! If you cannot attend, please consider a sponsorship or a donation to the CFA. Thanks for your support.